Please Mum has its final clearance sale on! 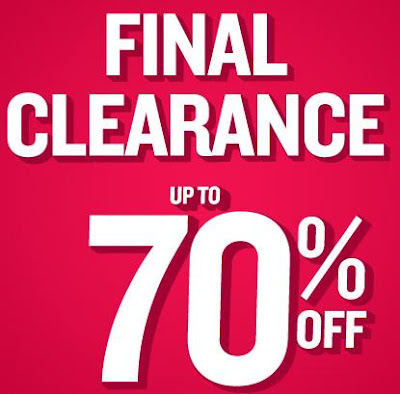 Get up to 70% off select styles online and in-store at Please Mum! 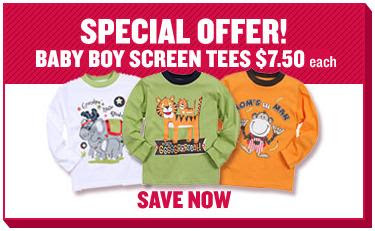 They've also got long-sleeve screen tees on sale for $7.50. If you buy online, you'll get free standard shipping to anywhere in Canada, so save your gas and parking frustrations and shop online! I've blogged before about how I love the Please Mum free shipping promotion. I've been ordering their quality clothing for my own baby as well as for gifts that need to be shipped - saving LOTS of shipping dollars! And for just $3.50 more, they will send the gift in special gift wrapping and you can add a personalised note. My favourite item from them to gift is any of their blankets in the shaggy or fleece fabric - soooo soft, and double-layered for extra warmth, and as low as $10 when on sale. Styles, colours and availability change according to season, look for them in the Newborn sections of the website. 0 Response to "Up to 70% Off and Free Shipping at Please Mum"